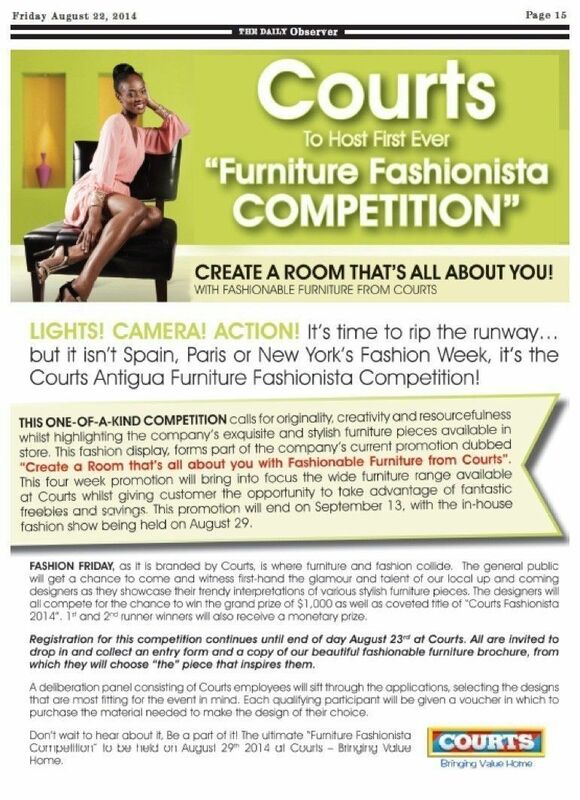 Unicomer Antigua Limited, trading as Courts Furnishing has throughout the years brought to you many exciting promotions and out of the box deals and offers. For the past months, we have had promotions in which a customer has won her cash loan back in cash, customers have won their purchases free and even an all-inclusive weekend trips for two to another island. There have also been a number of interactive trivia via our Courts Antigua’s Facebook page. What we are about to make mention off are nothing short of the many great promotions we have offered and much more we have in store for you. In May, a two weeks and a half promotion secondary was introduced, it was dubbed Furniture Frenzy. 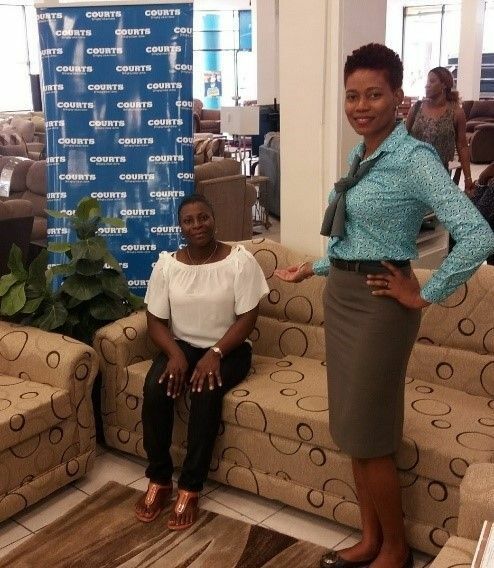 Customers got a chance to win their living room set or Dining set purchase free. Miss Johanna Adams was our lucky winner; she won her entire purchase free. We congratulate Miss Adams on her winnings. 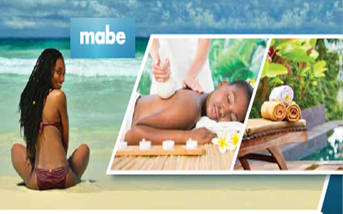 Still in May we launched our MABE Supplier funded Mother Day promotion, which ran until June 30. The promotion “Win an all-inclusive Spa weekend for Mom and her 3 friends. Oh, yes! You read right. Mom and her three friends will enjoy an all-inclusive weekend spa at the Pineapple Beach Club. The draw was held and our winner for this promotion is none other than Ms Hewattie Nurdeen from Sutherlands. 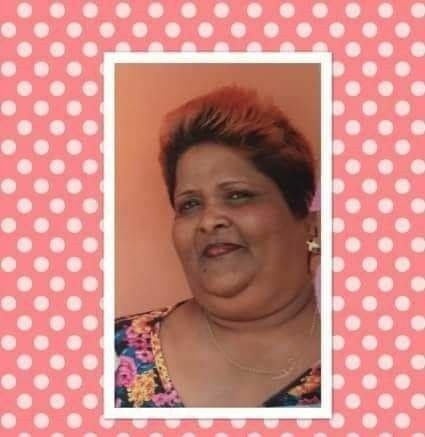 Kudos to you Ms. Nurdeen, do have a blast. ‘Score Big’ this was a six weeks primary promotion which commenced on May 14th and ended on July 7th. The main category featured was our digital products available for sale. With this promotion, held exciting offers, wow deals, freebies, and more. Customers got a chance to win an Ultimate Home Entertainment Package inclusive of a TV unit, a 43” TV, a home theatre system and a laptop. 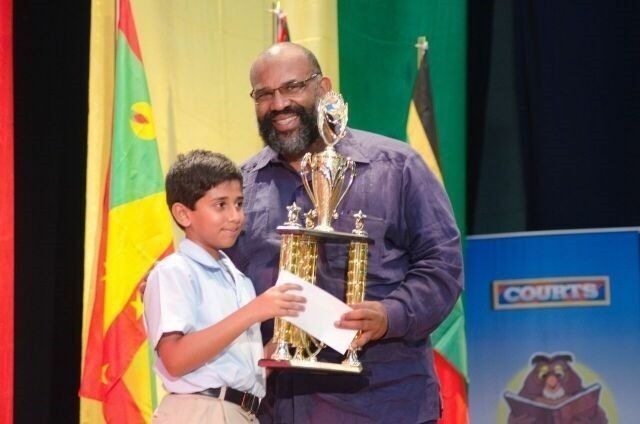 We are elated to have pulled out the name of our grand winner Mr. Dwayne Harrigan from St. John’s Street. We are extremely happy for you Mr. Harrigan , You have scored big with Courts. The ‘Score Big’, did not just end there! We had to keep the momentum. Yet another offer was launched, “With the purchase of ANY television until July 7th customers got a chance to win their television purchase free”. Oh, the joy of pulling out the winning names, it feels like Christmas in July. Mr Leslie King won his television purchase free. Hurray! Moreover, Congrats to you Mr. Leslie. 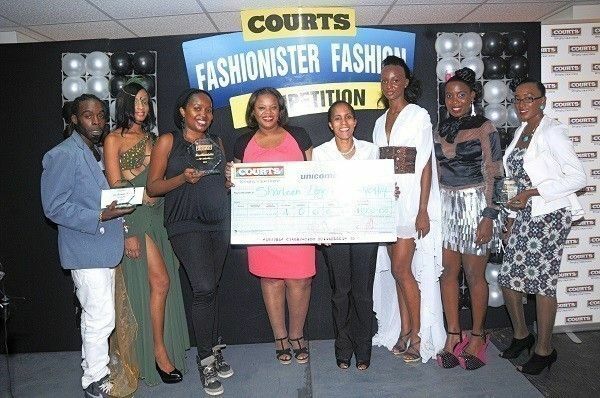 To All our winners we say thank you for shopping with Courts and once again Congratulations! We also encourage you all our loyal customers to continue to shop and participate in our promotions, in stores and via Facebook. As the saying goes you to can be the next Courts winner. Check our website www.shopcourts.com to view our new “We’ve Got It All” e-brochure deals and savings. Courts has embarked on a new and exciting initiative which will afford persons the opportunity to access a collection of recipes through the Courts Cook App! We are delighted to have invited local cooks/chefs and bloggers to partner with us and establish a longstanding relationship between the two brands. As a contributor to the Courts Cook App the contributors have the freedom to highlight their content making it accessible to the hundreds of persons who already utilize the ap. Recipes may be tagged, shared and reviewed allowing persons the opportunity to provide real time feedback. This tool will afford our valued contributor the opportunity to further showcase the content from their social media pages thus increasing their visibility as one of the inaugural ambassadors of the Courts Cook App in the OECS. 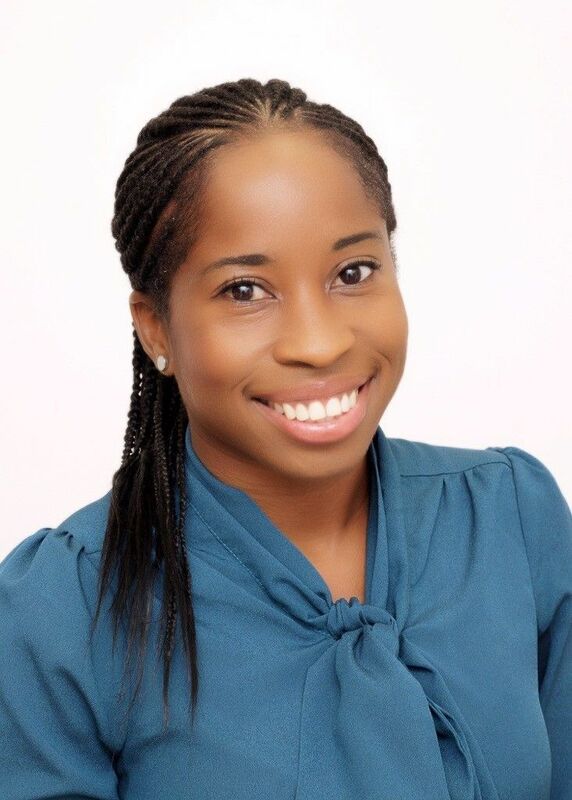 One of our contributors Ms. Tonya Jackson is an Antiguan blogger with a passion for creating plant-based recipes and is an advocate for healthy living and natural skincare. In 2015 she adopted a vegan lifestyle, and created veganislandgirl.com to showcase the creative recipes she developed. Tonya was motivated to transition to a vegan/plant-based way of living for health reasons, which has resulted in numerous benefits to date. Over time her motivations for maintaining this diet and lifestyle expanded to ethical and environmental reasons, where both factors are impacted by traditional eating practices. VeganIslandGirl.com was developed to express Tonya’s love of cooking, and to demonstrate that plant-based eating habits can be both enjoyable and manageable. Her goal is to demonstrate how simple and inexpensive a plant-based diet can be, and to motivate individuals to consume less animal products. In addition to creating vegan recipes, Tonya has a special interest in natural skincare, and regularly posts her skincare regimens and tips via social media. Tonya attained a certificate in Plant-Based Nutrition from the T. Colin Campbell Center for Nutritional Studies and eCornell in January 2017. With this knowledge she expects to develop more plant-based recipes, and spread awareness on this very beneficial diet. 1.How can you describe your experiences thus far with the company? I would say that I have had quite a dynamic experience with the company thus far. I started my journey with the company not even knowing how far I would end up one day. It has been a process of continuous learning, growth and service. After coming across this quote about five years ago, I have held as my motto Helen Keller’s quote, “To whom much is given much is expected.” Over the past ten years Courts and now Unicomer has invested a tremendous amount in my growth and development as an individual and an employee. Unicomer has provided me with countless opportunities through its training and development programs. As a result I have spent my time investing in myself, our customers, my peers and our company in turn to the best of my ability. To leave with you a word of advice, embrace your journey with a spirit of gratefulness and contentment and you will see how amazing your experiences become. I am looking forward to my continued journey contributing to the growth of our business. 2.How long have you provided dedicated service to the company and what do you think has been your greatest contribution thus far? I have provided dedicated service to the company for just about 11 years. I embarked upon my journey in 2006 just after leaving secondary school. I would say my greatest contribution to the company is my ability to be a key team player. I provide support, knowledge and exceptional customer service while assisting our company to strategically achieve key targets and goals. 3. Give a brief summary of a day in your role. A day in my role involves providing support to my supervisor, team members, and our customers. It is fast paced and constant. It starts in the morning with our much needed jump start to set the pace for the rest of the day. It involves assisting our customers and my team members. My role gives me responsibility for my fellow sales team, inventory, cashiers and store opening and closing activities. At times it involves critical thinking and problem solving skills to keep the day going smoothly ensuring our customers (both internal and external) are kept satisfied while achieving our business goals. 4. What departments have you worked with before assuming your current role? I have always worked in the operations department more specifically Sales. I entered the business as a sales representative. Over the years I’ve had several other functions joined to my main role. First a cashier function was added where I was a Sales Representative/cashier, then I became a Sales representative/warranty coordinator and now those functions have paved the way for me now becoming a Customer Service Representative Administrator. I have embraced each new post as they came as they have provided me with an all-encompassing knowledge of the role in which I execute now. 5. What are your future life and career goals? My future life and career goals include finding the optimum balance between my personal, academic and professional careers. I plan to maintain a steady growth in each by maximizing on every learning opportunity I can and imparting my knowledge in turn where necessary. One of my personal goals is to provide my family with the Best opportunities I can. It is my belief that academic and professional goals complement each other. They involve ceasing every training and development opportunity. Spiritual Intelligence is my foundation and I live with a spirit of contentment but still a hunger for growth. What this does is that it keeps us from becoming stagnant in life. Knowledge is wisdom and wisdom is the power we need to achieve our goals. As a result, we must stay true to our value systems and gage our growth. Set benchmarks for ourselves and measure our goal completion as this will give us direction to keep pressing forward. Please complete the questionnaire below. Select any question and complete a video testimonial response. My experience working with Unicomer so far has been a phenomenal one! As with any other workplace there are challenges along the way – all of which work together to make one develop and have a better understanding as to how to overcome similar challenges, both in the professional and personal aspects of life. Unicomer has indeed given me the opportunity to sharpen my skills and to demonstrate them without boundaries, thus enabling me to maximize my full potential. October 2016 marked my 10th year of dedicated service to the company and I am especially happy to say that I am looking forward to another 50 years! I would say that operating in my current role has been my greatest contribution thus far because it has afforded me the empowerment to make critical decisions and execute them in a way which benefits every member of the team. I love the feeling – that feeling of fulfilment and accomplishment when you can see how your idea or suggestion has positively impacted your colleagues. Also, during my tenure here, I have found ways to improve day to day processes by making them easier or less tedious – in other words finding ways to work SMARTER instead of HARDER. 3.Give a brief summary of a day in your role. My day to day role involves mostly Administrative duties, so I have to sit around the computer for most of the time. However, I still find time to browse the sales floor to scope out any possible infractions which go contrary to store standards. To summarize, I am here as a direct support to my Supervisor and Branch Manager and the entire Branch on a whole. 4.What departments have you worked with before assuming your current role? Prior to working in this role, I entered the business as a receptionist and also had the privilege of working in the Technical Service department. 5.What are your future life and career goals? Currently, I am working on achieving my Bachelor’s Degree in Business Management because I plan to move up in the business to a position where I can contribute even more than I have, and help to drive Unicomer to the highest place of business efficacy in the OECS and globally. Unicomer Group knows that working for a better world is the responsibility of all those who make up society; in this sense the group promotes the active participation of its employees in the development of their communities. On this occasion they carried out the second Volunteer Week which seeks to improve the lives of thousands of people through different activities that will be taken on by volunteers. 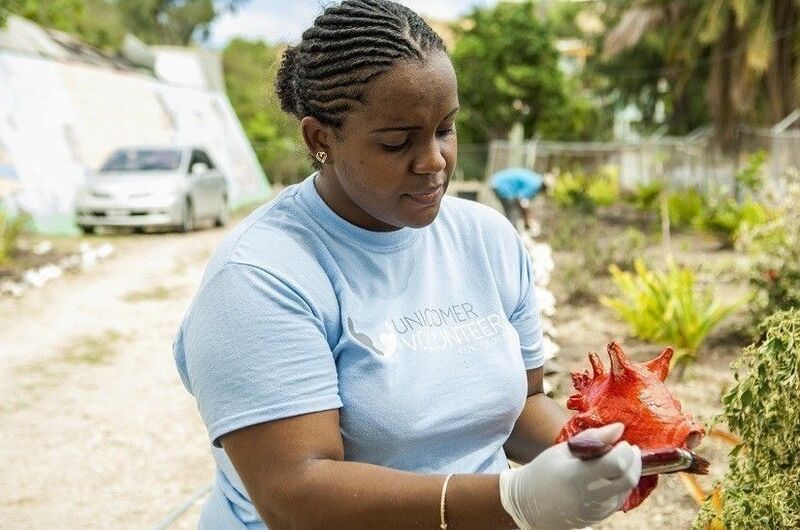 This year, employee volunteers from Unicomer Antigua, trading as Courts Ltd took on maintenance and refurbishment work at The St. John’s Hospice. 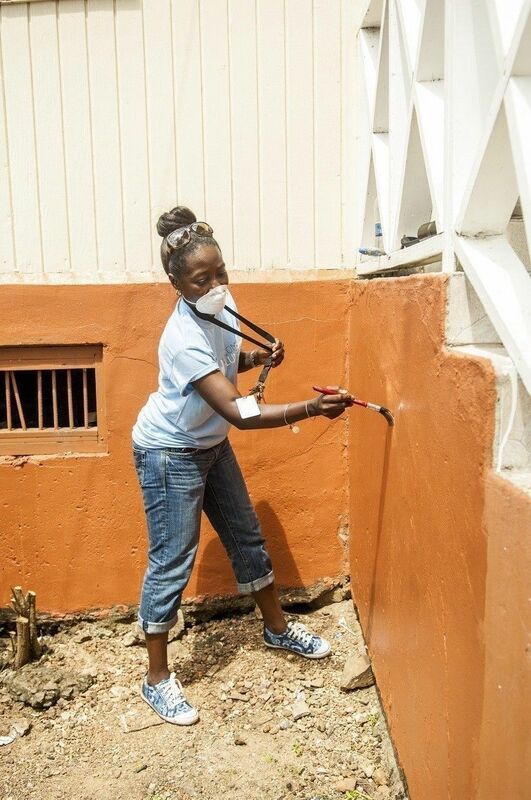 The volunteers completed refurbishments like painting the internal and external walls of the facilities, re-tiling two bathrooms, as well as fix a leaky area of the roof and surrounding drainage pipe. Courts also donated a 30’ gas stove, a toaster oven and a blender to the kitchen at the not for profit facility. 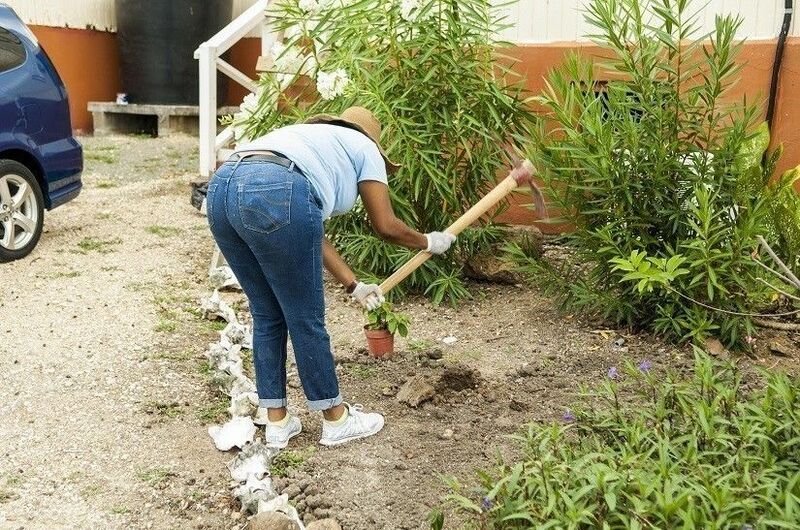 Staff and volunteers at the not for profit, charitable facility devoted to providing care and respite to terminally ill and palliative care to others could not contain their excitement at the work that was carried out. 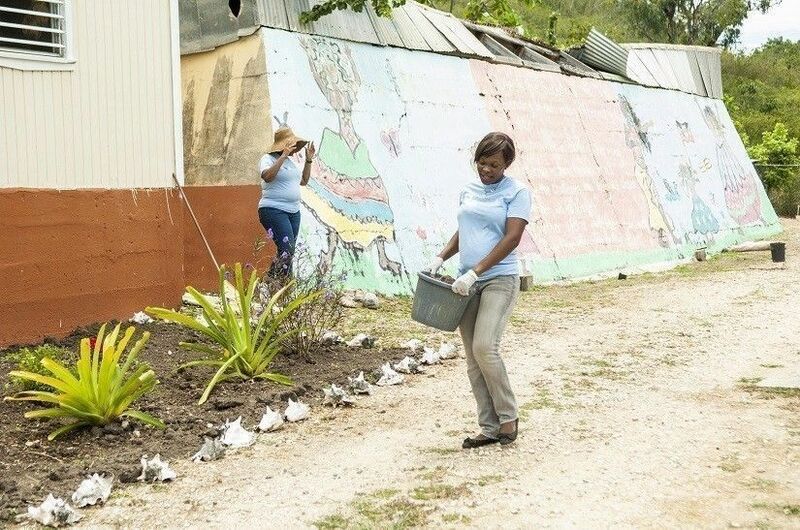 “We are really excited that you selected us for your volunteer week activities, and it was just in time as we really needed the help” were the gracious words offered by Cathlyn Gilkes, administrator at the facility. After work started and the company learnt of another challenge the that the facility was having, Courts stepped up and offered to and completed the paving of an area where the beds of patients could be wheels outside where patients can experience a change of scenery and enjoy nature. 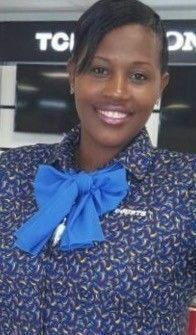 According to Thalia Thomas, Human Resource Officer for Unicomer Antigua “we were only too happy to contribute to this most noble organization”. 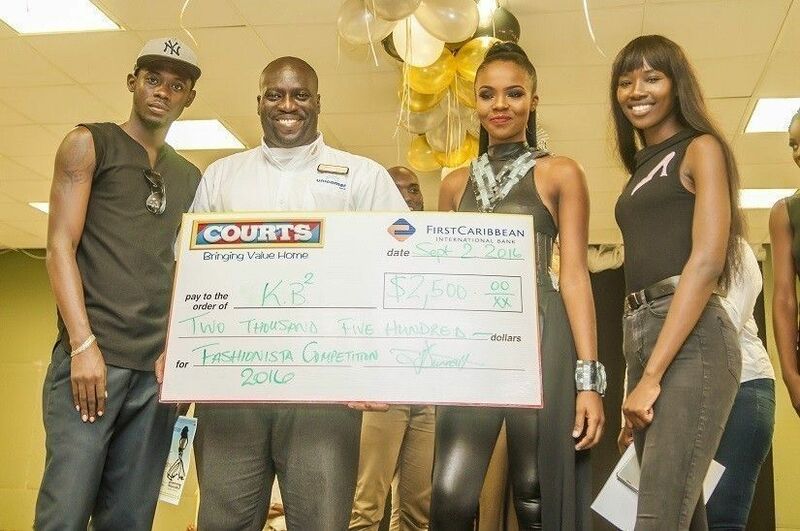 KB2 Wins Third Annual Courts Fashionista Competition!! 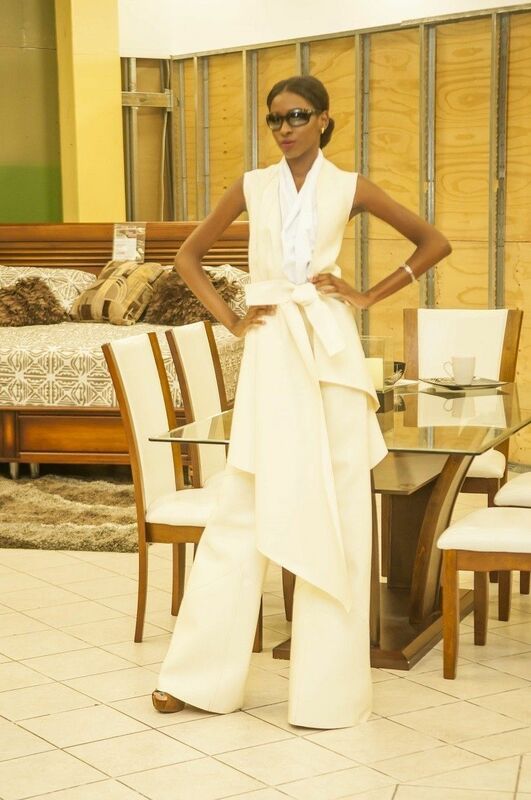 Local furniture and electrical superstore Courts, hosted its third annual Fashionista competition on Friday September 2nd 2016. Kevon Moitt, placed 2nd with his design also inspired by the Camelia Dining Set and won $1000 in Cash. 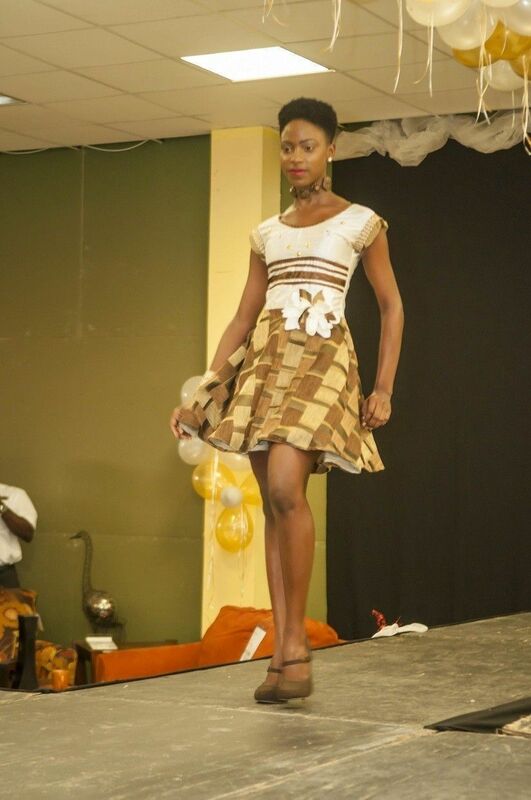 Valencia Manning placed 3rd with her design inspired by the Portsmouth King Bedframe and walked away with $500 in cash. All participants received tokens of appreciation from Courts…. 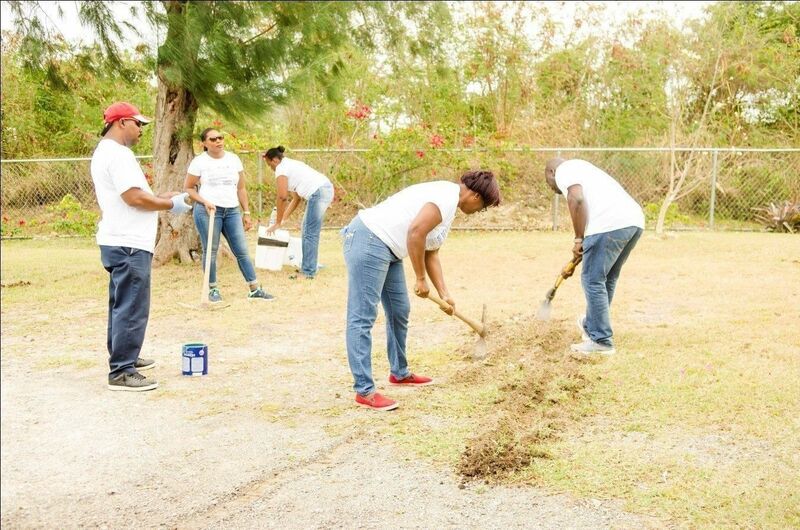 Employees of Antigua’s leading retailer of the World’s Best Brands in Electronics and Furniture products, Courts, made time to volunteer their time and skills as part of activities surrounding the company’s “Volunteer Week 2016”. The initiative which is was held for the first time by the super store was launched with the primary objective of mobilizing staff in every Country where they operate. Whilst the company is known and appreciated for their commitment to continue bringing value home, Courts sees this initiative as an avenue to strengthen relationships within the communities, improve employee commitment and retention as well as to reinforce the company’s corporate image. 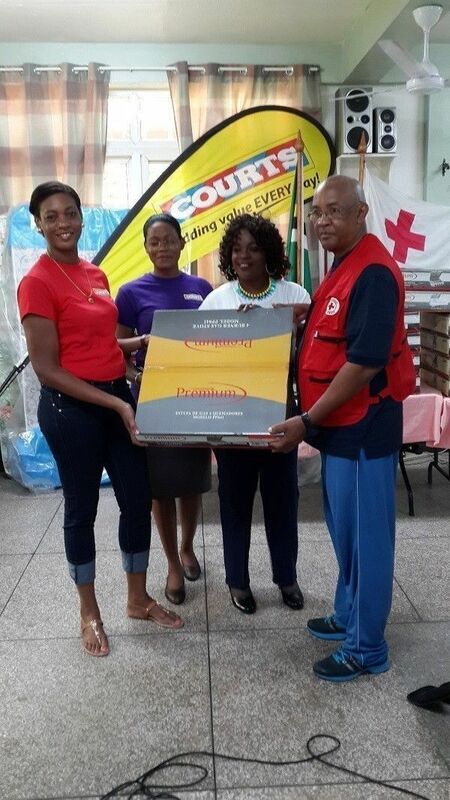 The “Sunshine Home for Girls” was the selected charity for Court’s 2016 volunteer week project. Works included repainting both the interior and exterior of the main residence, repairing a derelict side deck and refreshing the front gardens. Key to completing this project was the volunteerism of the Courts staffs; they came out in numbers and were extremely hands on. 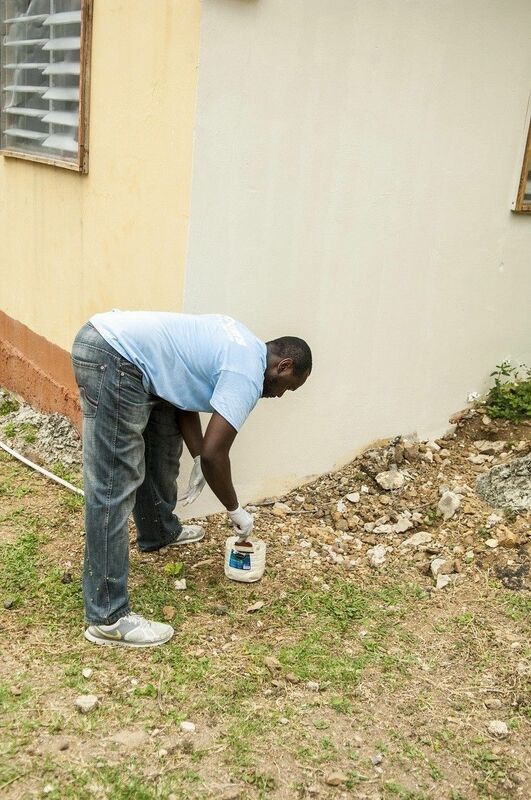 Working hand-in-hand with the Courts employees was Orville Samuel and the Big L construction team, who took a lead on the painting and carpentry work. To execute the vision for the garden Dorian Hughes generously donated the much needed topsoil, and landscaper Montgomery Lewis brought his professional touch. 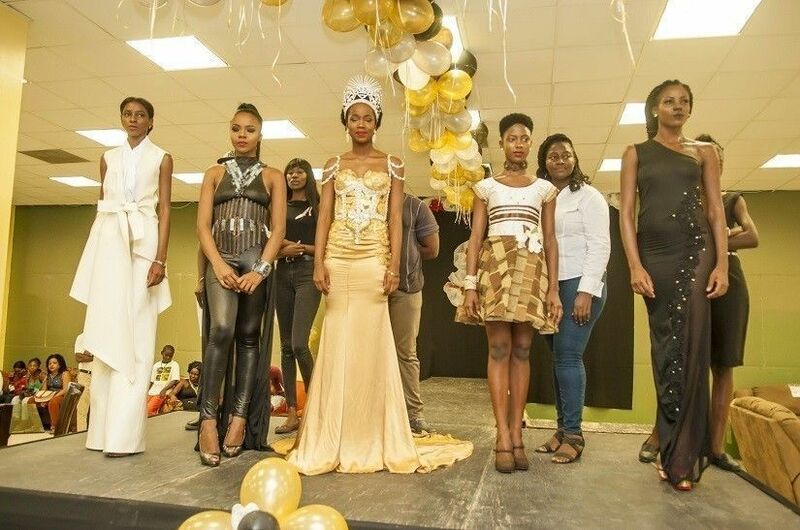 The company also received some support from its corporate partners, namely Colour Express and Dumz Tree Catering. 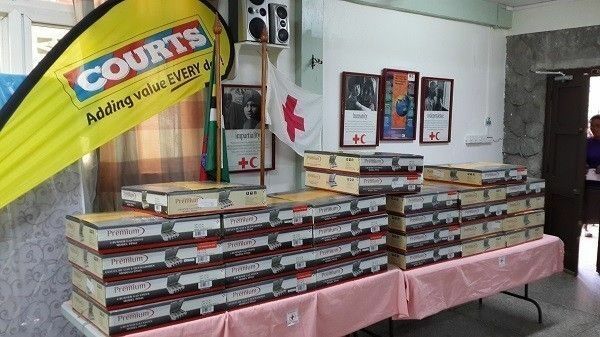 The management and staff of Unicomer (Antigua and Barbuda) Limited trading as Courts, would like to extend sincere gratitude to Major Allwood and the supporting staff of the “Sunshine Home for Girls”. The company would like to extend further gratitude to our employees who volunteered their time and skill in celebration of ‘Volunteer Week 2016”. Without your support, this initiative would not have been a success. 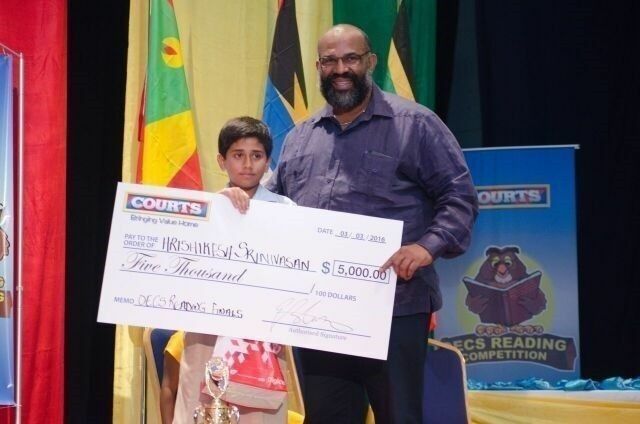 Courts Antigua Reading Competition is back again for the seventh consecutive year with the company’s very popular and successful “Courts Schools Reading Competition.” The competition which was first launched in 2008 in conjunction with the Ministry of Education’s has the sole goal of eradicating illiteracy in Antigua and Barbuda. The official launch was held during the Sunnyside Tutorial School’s assembly with reigning champion Khadijah Simon giving the opening remarks. 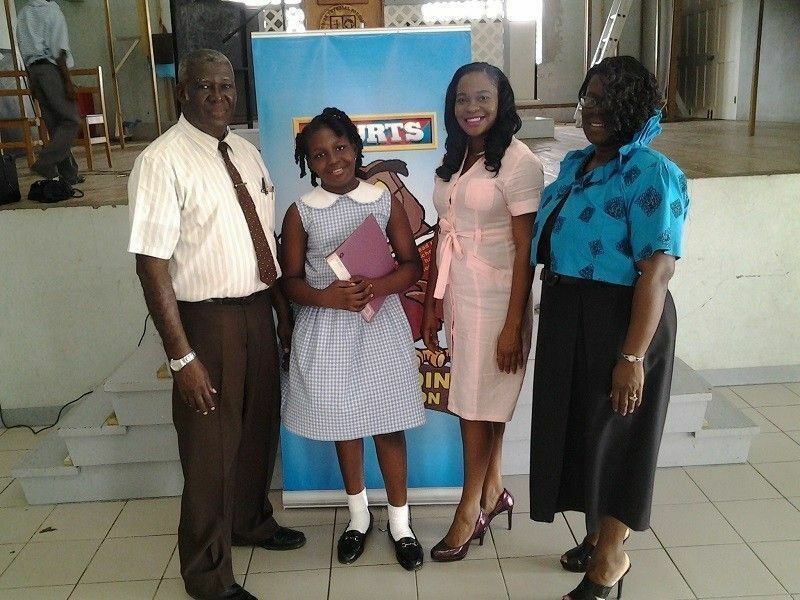 She spoke proudly of her experiences as the winner and her joy of being the overall winner of $3,000 for herself and $2,000 for her school plus the amazing opportunity to travel to Grenada for the regional competition. She extended sincere gratitude to Courts for this initiative and thanked her teachers and parents for the support given to her throughout the competition. 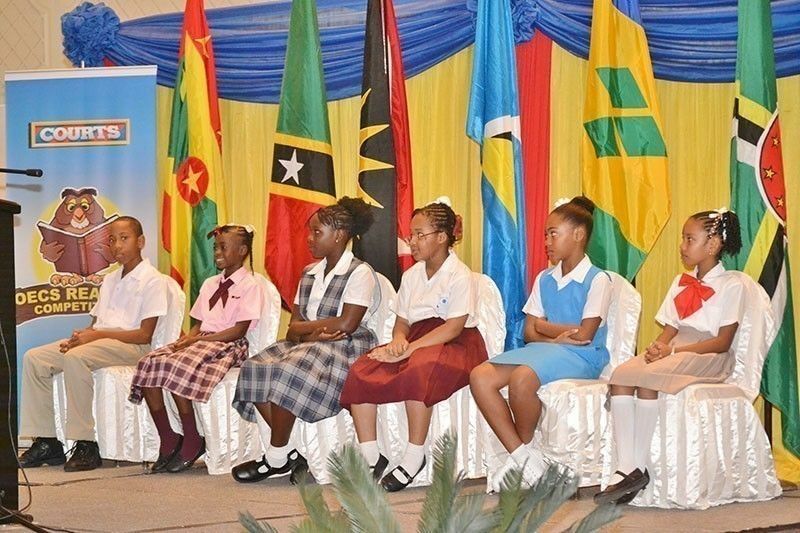 Courts Commercial Officer, Ms Talitha Dunnah, in her address to the gathered, commended the school on their high standard as it relates to reading especially amongst eight and nine year olds. Ms Dunnah ended by encouraging the children to read this summer in their spare time as it opens up new possibilities for them. 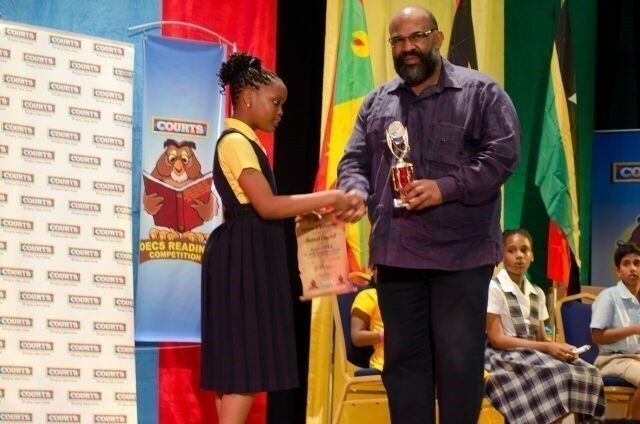 Mr Howard Warner, the principal of Sunnyside took the time to further encourage the students to follow in the footsteps of Khadijah and to keep the title of “Courts Reading Competition Champions” at the school. “Nine books in eight weeks”, was the mantra resounded by both Warner and the students. This year, the winner of the finals of the local leg of the competition will receive $2,000 for themselves plus an additional $2000 for his/her school. He/she will also get the opportunity to represent Antigua & Barbuda at the regional finals to be held in Dominica on October 15th. The management and staff of Courts would like to encourage children to read, as reading is the beginning of endless possibilities. “Today a reader, tomorrow a leader”. 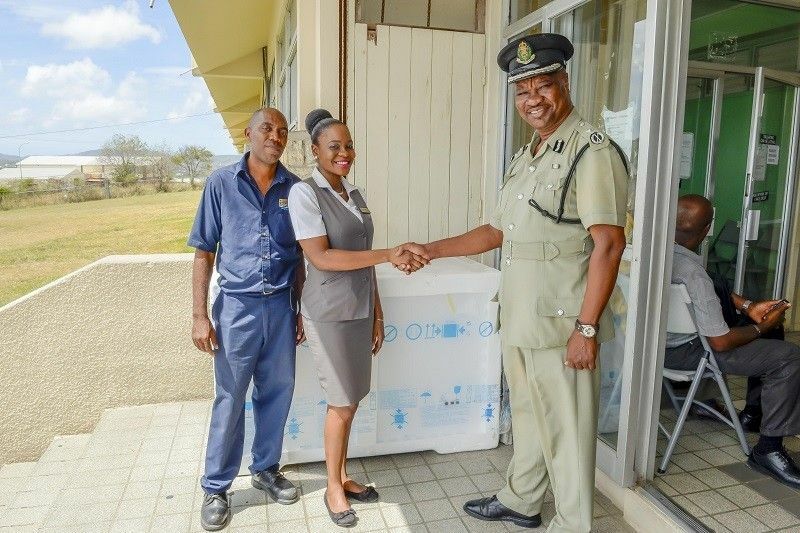 Courts Antigua and Barbuda is delighted to announce the latest donation of a Whirlpool Chest Freezer to the “Royal Police Force of Antigua and Barbuda.” This donation follows a past hand over of furniture and electronics to the Antigua and Barbuda Persons with Disabilities a few days ago. The company also repainted and refurbished the institution. Courts understand the urgent need for corporate assistance on the island. We are happy to give back to the communities where we operate and confirm our continued support to the Police Force, as we rely on them for our safety. 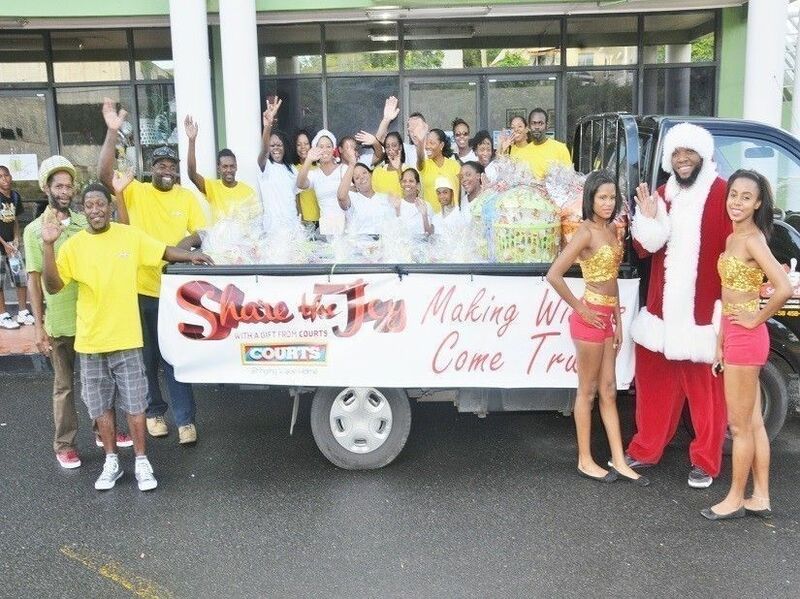 Known and appreciated in Antigua and Barbuda for offering the world’s best brands at the most affordable prices, local Furniture and Electrical superstore Courts, make well on their promise to provide continued assistance to the needy in the Country. The latest of ventures comes on the heels of the company’s completion of a series of Corporate Social Responsibility projects which focused on sustainable programs that offer the beneficiaries a better quality of life. Courts Antigua and Barbuda is delighted to make the much needed to the Antigua and Barbuda Persons with Disabilities. 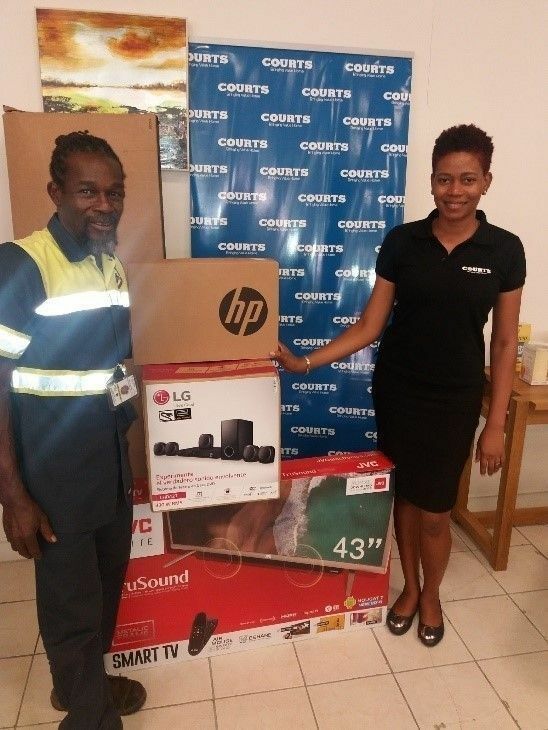 The donation to Antigua and Barbuda Persons with Disabilities comprised of office furniture and a brand new HP Desktop Computer from Courts. 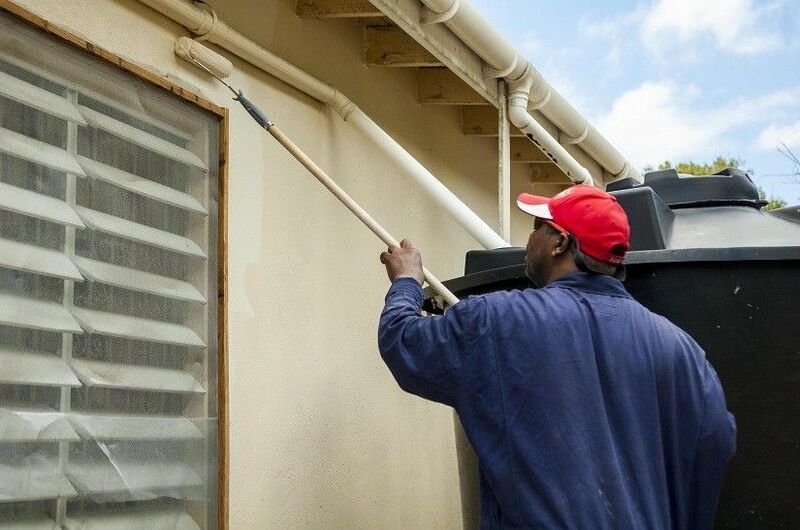 Also, in preparing the office for their grand opening scheduled for June, Courts also assisted in the refurbishment of their office through remedial works on the building. Ms Wendy Ballantine, the Vice-President of the Antigua and Barbuda Persons with Disabilities expressed sincere gratitude to Courts for the support. “Thank you to Courts for their kind contribution towards our associations, it was very timely and deeply appreciated.” The products were presented by Ms Talitha Dunnah, the company’s Commercial Officer. 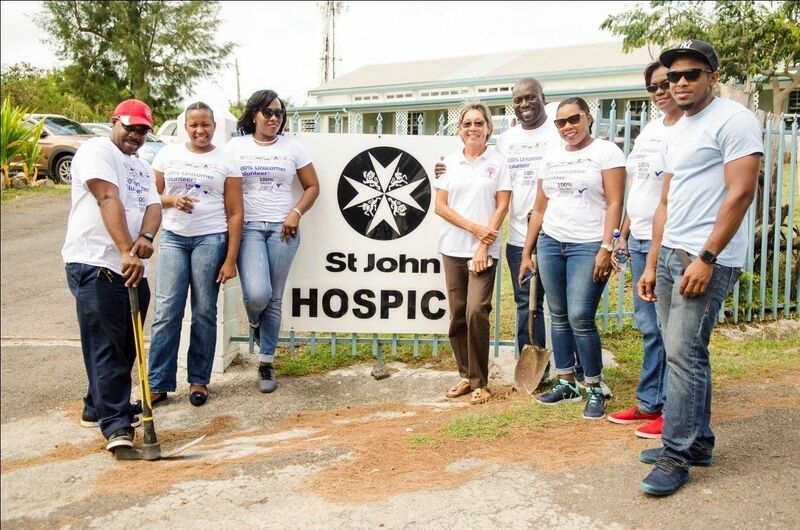 As corporate leaders, our goal is to improve the quality of life of our employees, their families and the communities where we operate, through programs and initiatives that will assist in the overall development of Antigua and Barbuda. 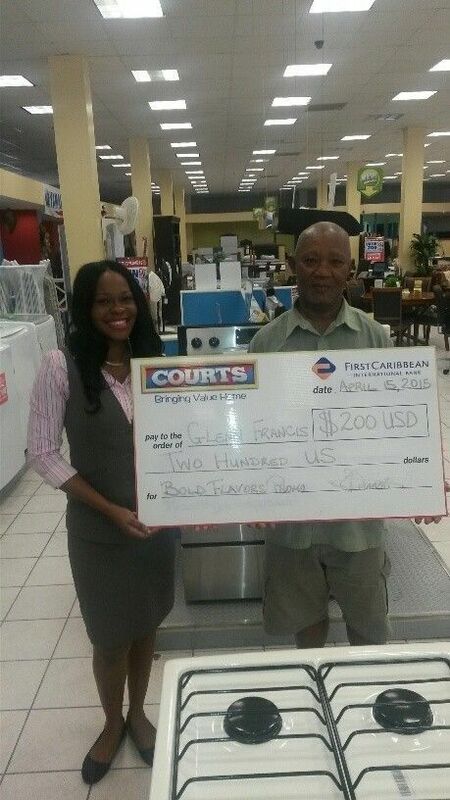 Courts Customers wins US $200 in Cash in Major Appliance Campaign. Six Customers to win! Glenn Francis and Paulette Jeffrey have been announced as the first two of six lucky customers to walk away with US $200 in Cash. This announcement was made earlier this week, by the company’s Commercial Officer – Ms Talitha Dunnah. 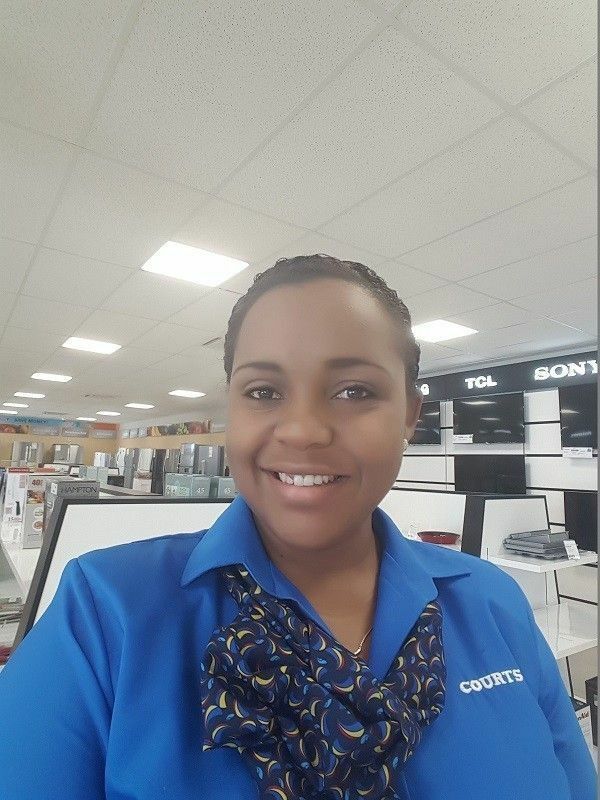 Antigua’s leading retailer of the world’s best brands on April 1st launched a campaign that features the company’s wide range of both small and large appliances and highlights amazing deals and offers available in store. This promotion will continue until the 9th of May 2015. The offers for this promotion include: A chance to win US $200 in cash with the purchase of any appliance valued at $999 and over and a chance to win $11,000 in prizes of your choice with the purchase of any Mabe appliance. Customers, who shop on Courts Ready Finance, more specifically accounts taken for 24 months and over, will enjoy paying nothing down and nothing further for 60 days. 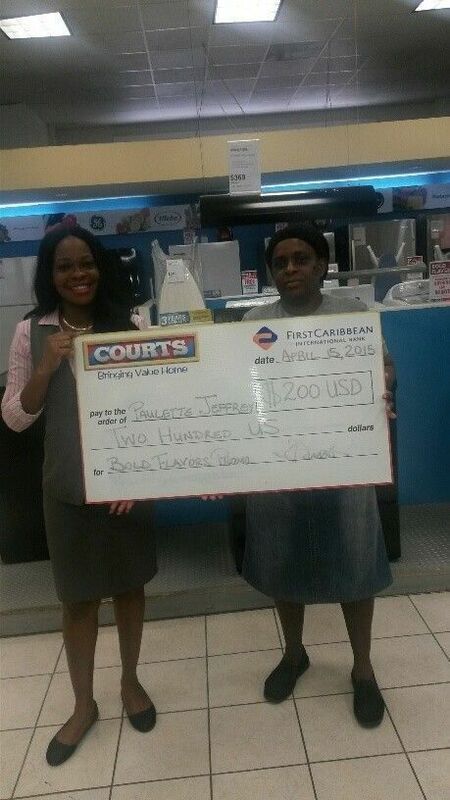 You too can win big once you shop at Courts! Visit us online for more information on our many deals and promotions at www.shopcourts.com or on Facebook at Facebook.com\Antigua, We would love to hear from you! Courts Sponsor the Caribbean Premier League, CPLT20 Tournament! The Courts Caribbean Group has proudly announced its role as the official partner of the upcoming Caribbean Premier League T20 tournament. 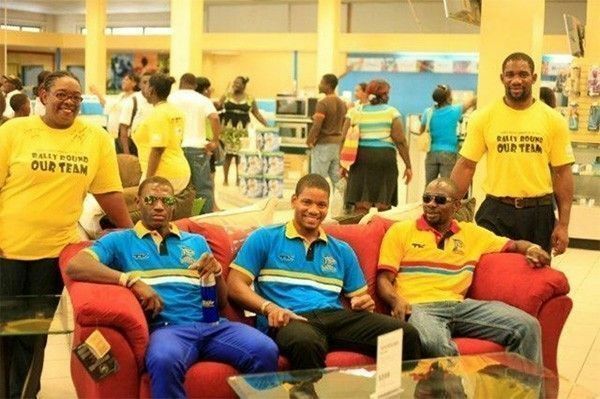 The CPLT20 games will be held in six (6) host countries; Antigua, Barbados, Guyana, Jamaica, St Lucia and Trinidad and Tobago from July 30 and closes in Port of Spain, Trinidad on August 24, 2013. The tournament is all about merging sports and entertainment with a number of international and regional cricket stars taking part in the games.